STATE politicians visited Yanchep Police Station today to inspect $3 million expansion plans that will accommodate four times as many officers. 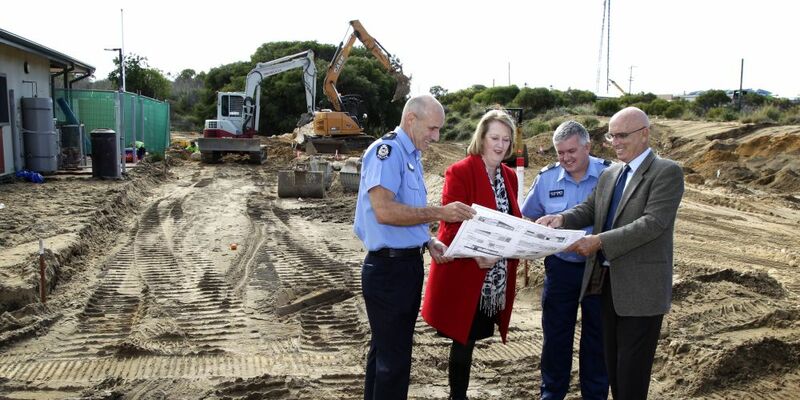 Police Minister Michelle Roberts and Butler MLA John Quigley visited the Yanchep Beach Road station to view plans for the upgrade designed to meet the needs of the fast-growing region. It will include a new detainee holding room, interview facilities, dedicated operations room and modern facilities for staff. Works are expected to finish later this year, with the building constructed offsite before being transported to the station. “This will be a significant upgrade from the old facility, with the capacity to accommodate four times as many officers,” Ms Roberts said. Mr Quigley said the upgrade would meet future demands of the community, which had seen “incredible growth in recent years”. “This expansion will give police officers the additional resources and infrastructure they need to continue to conduct their duties at an optimal level, and to cope with the population growth,” he said. The Yanchep sub-district includes neighbouring suburbs Two Rocks, Eglinton, Alkimos and Carabooda.